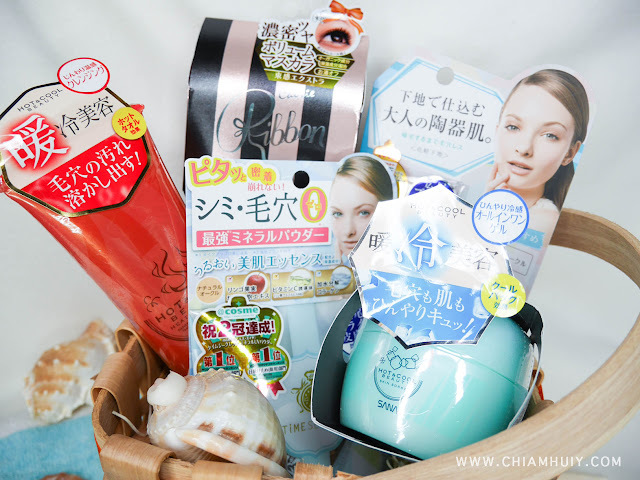 I was tasked to try out a few new beauty products found at Sasa Singapore and John Little and there was these two products that specially interest me a lot. SANA Hot & Cool Beauty Duo (two products to be used one after another) is designed to solve the bane of our lives - blackheads!!! I'm sure you've heard of home remedies where you should apply a hot towel over your nose to expand the pores before you apply the blackhead strips, so that the blackheads can be extracted more easily. 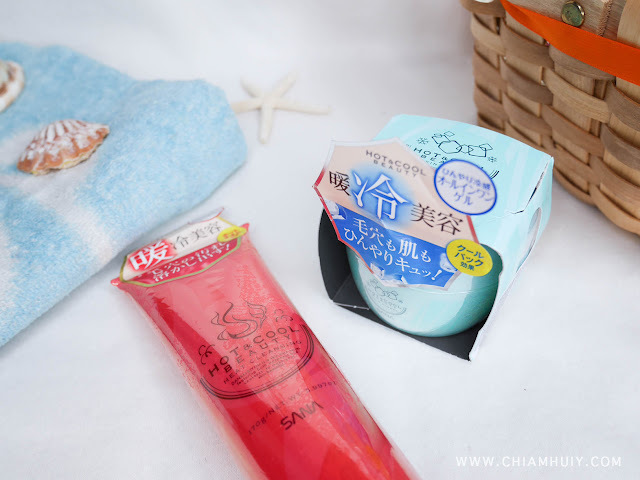 Same idea but in a more convenient way, the SANA Hot & Cool beauty heat cleansing will first heat up the skin (expand the pores) before you contract the pores again using the beauty skin sorbet. Shall we find out more about how these two products magically reduces my blackheads? 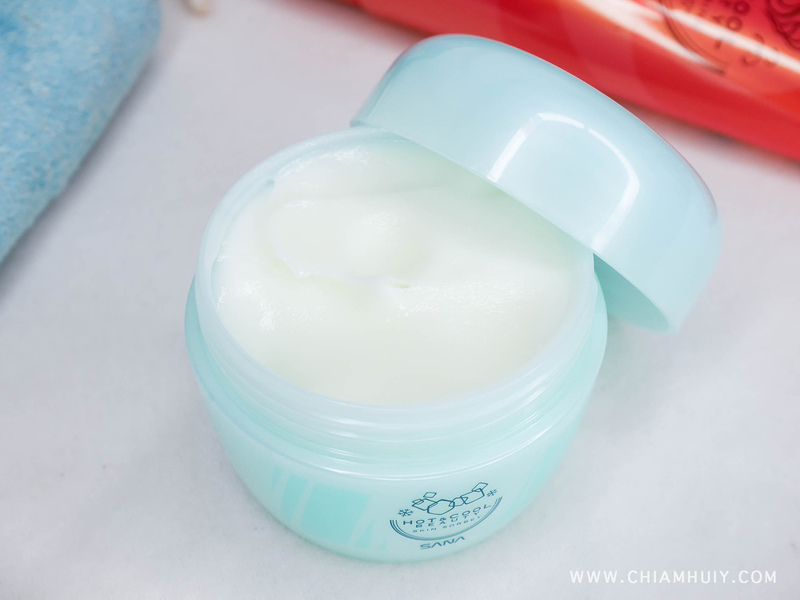 I was absolutely amazed when I first apply the Hot & Cool beauty heat cleansing gel. It instantly heats up on my skin after the first spread, giving a heating tingling sensation. Because of this, I would think it's a good idea to first apply on the back of your hands, then your lower jawline in case it triggers sensitive effect on your face. And because I have sensitive skin, I only try this product on my nose. The three main ingredients contained in both products are Ginger, Artichoke and Collagen, of which come together to bring you back suppler and smoother skin. We know how ginger extracts can improve cold symptoms and for its bactericidal effect. 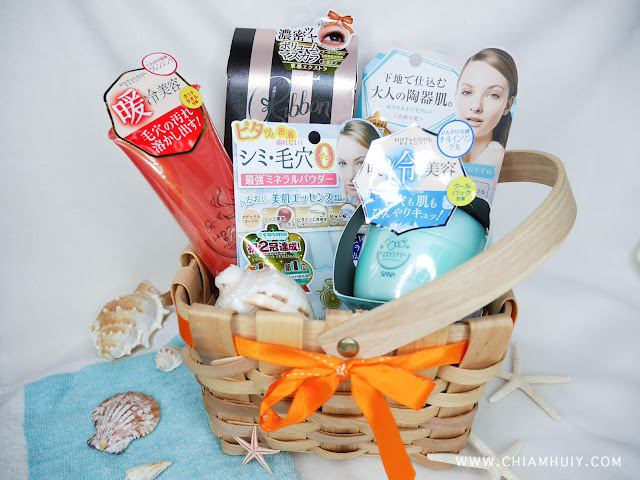 For this product, the ginger extracts help to warm up the skin and help promote blood circulation. Because these ingredients bring about a heating sensation, it expands the pores for easy extractions or best still, easy removal of sebum dirt and makeup residue! Right after cleansing with the beauty heat cleansing gel, it'll be a better idea to cool down the skin and contract the pores again, in case dirt starts to clog the pores. Using the beauty skin sorbet, it honestly cools down the skin like how sorbet would feel on the skin, only milder cold of course. The cooling sensation tightens the pores and it feels amazing to have something so cooling on my nose! I can totally imagine how soothing it'll feel if I were to apply on my whole face. I guess the result is pretty evident and it does speak for the products! Find SANA Hot & Cool beauty heat cleansing ($25.90) and beauty skin sorbet ($30.90) @Sasa Singapore and John little!